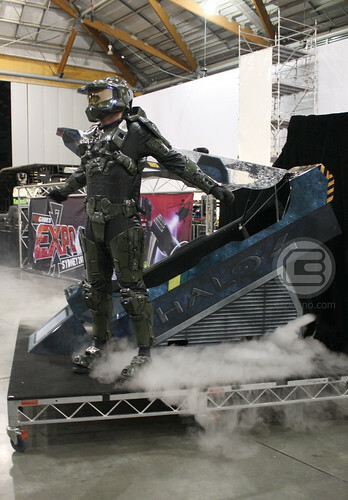 On an early Friday morning just before EB Expo kicked off for 2012, we were privileged enough to witness Master Chief awakening from his cryogenic slumber. 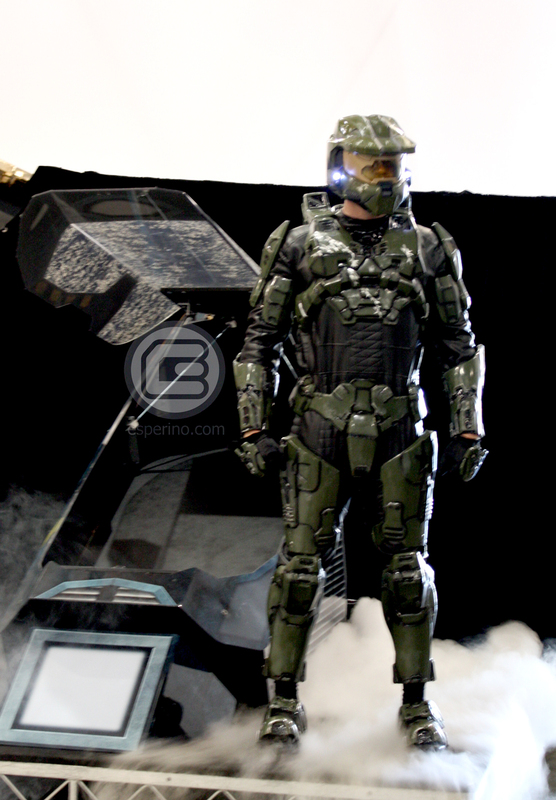 Dressed in full Master Chief attire, the hero of Halo 4 emerged from his cryogenic chamber, shrouded in smoke. 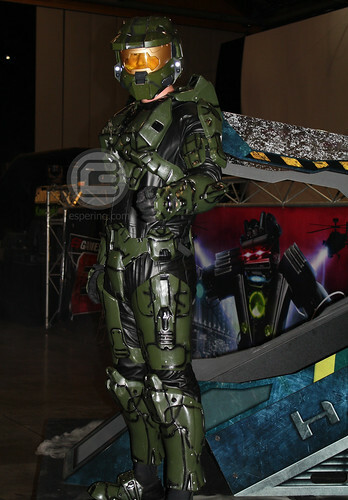 The scenario presented to the attending media closely mirrored the storyline from the upcoming blockbuster. It all looked fantastic but unfortunately the lack of lights and music affected the overall mood and feel. 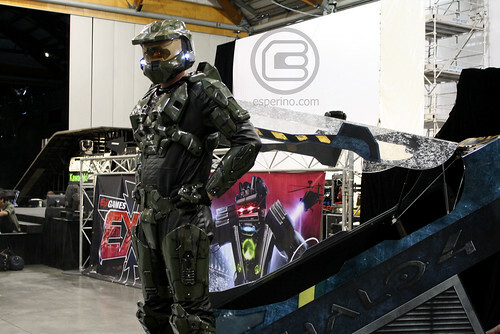 Apparently, it was a semi-test rehearsal but it did provide us with ample photo opportunity to capture Master Chief in a few poses before he made his way into the main expo arena. 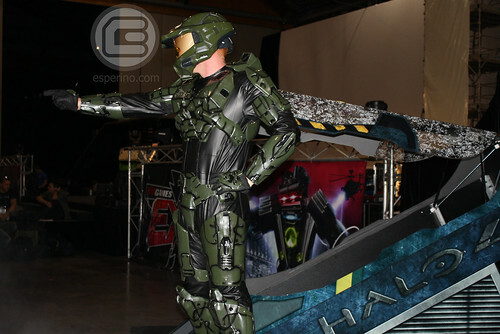 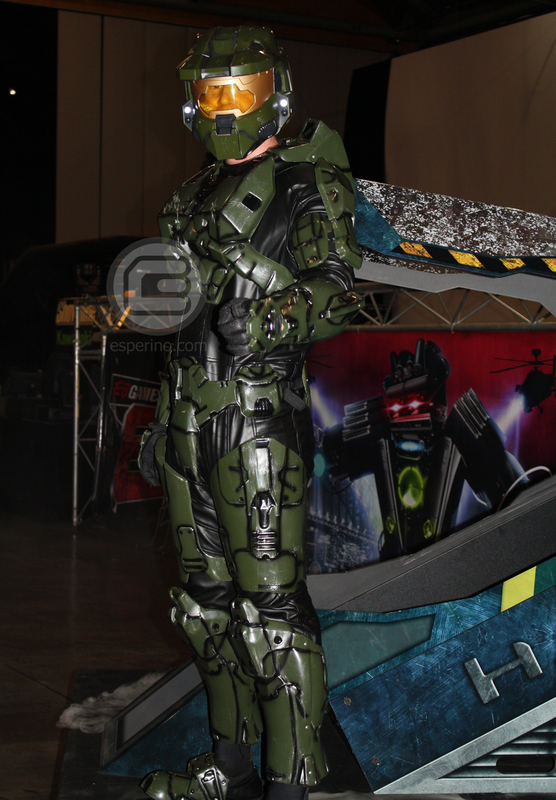 Some early attendees on Friday may remember Master Chief walking by the queues as he greeted visitors on the day. 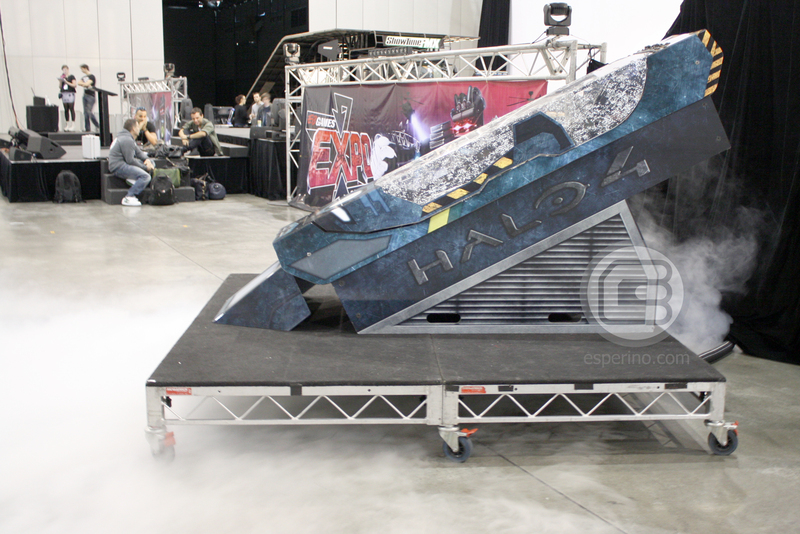 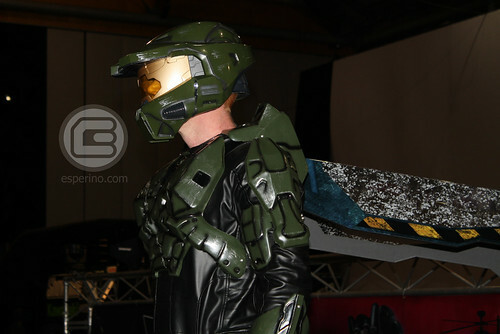 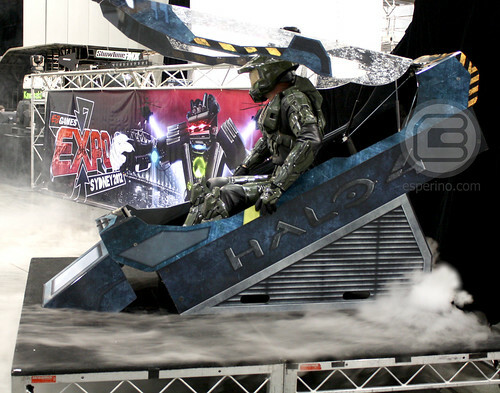 In case you missed it, have a gander at the photos below of Master Chief ominous presence.